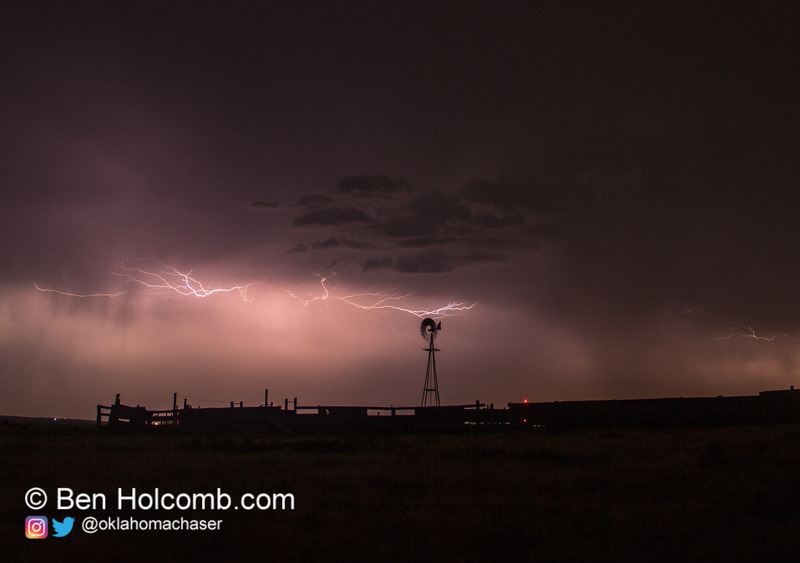 After a successful Saturday chase we stayed in Liberal, KS at the Hampton Inn then headed out Sunday morning the 3rd. The original target was somewhere near the OK/KS Border near I-35 and just west of I-35. We headed east out of Liberal towards Greensburg where we filled up. Jari and Jena had not seen Greensburg yet, so we did a little mini tour and drive through town. It was the first time I had been through town and actually stopped for more than gas since 2008(I previously drove through Greensburg on 4/14/12 and 5/25/12). It’s good to see things returning somewhat to normal in the town, however, it’s obvious most of the town has not rebuilt. The roads on the north side of 400 are still blocks of empty slabs. 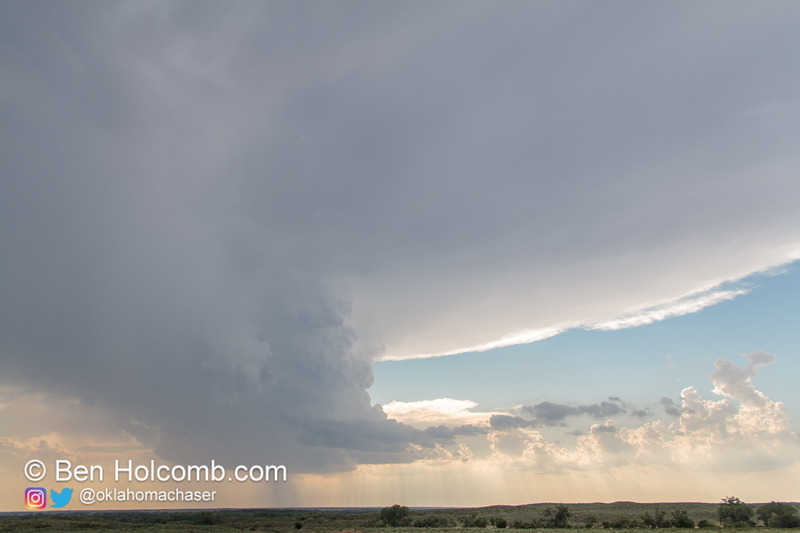 After our brief tour in Greensburg, we decided to head south and set up shop near Buffalo, OK. Our main concern was lack of surface flow, but that seemed to pick up during the mid afternoon and storms started to fire in the Texas Panhandle. Storms continued to fire further north and finally one blew up just to our west. This seemed to easily be the best storm of the day and even looked somewhat pretty when we first approached it. Unfortunately the storm kind of sat there with the weak upper flow and surface flow died off. 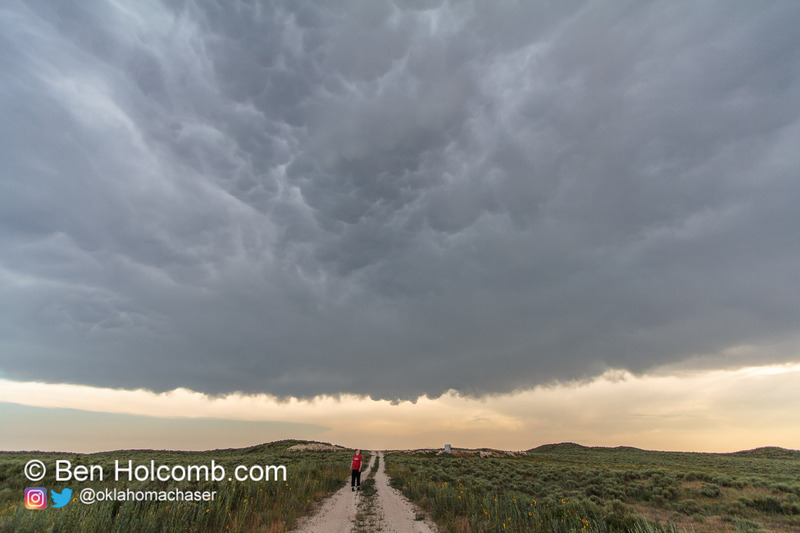 Nonetheless, it still produced some amazing mammatus clouds over our head and gave me a good chance at shooting a time lapse of the storm for a long period of time. Eventually we decided the storm was done and packed it in and headed over to Woodward where we had Pizza Hut. While we were in Pizza Hut, storms fired nearby and to the south, so afterwards we went after them for night lightning photography ops. We got some very good lightning shots which made up for the somewhat disappointing afternoon.